If you go to a vendor or a mikrotik device reseller and purchase a MikroTik device such MT RB 450G, MikroTik Routerboard 1100 AH you will notice that there is a machine running on the RB where MikroTik OS is prebuilt but the challenge with this machine is it naturally comes with low processing resources which includes low Random Access Memory and low processor unit. Now, considering these characteristics one thing that will pop in your mind is your could this make my network slow ? yes it will if you use a MikroTik Routerboard for maintaining a large network. For me often times I prefer using MT Routerboards such as CCR1016-12G because it is specially designed for working at a later level or layer 3 and executing many millions of traffics per second. So if have decided to install MikroTik OS on a PC or on a Server, you will want to get a faster processor with sufficient RAM. In this case, it will be easy and faster for maintaining a large network with this MikroTik PC router (Note: PC or Server processors are specially designed for working at layer 7 and working with application. Here, my piece of advice is to avoiding low memory configuration PC or Server. As MikroTik PC router is a better solution for a larger network. 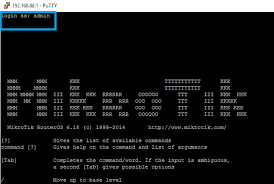 In this tutorial I will show you steps by steps on how to install MikroTik OS on a PC or a Server. Am actually using MikroTik OS installed on a virtual machine, which runs in my pc so that is another easy way to run MT RB OS or you can run it on a physical machine. If you interested to install MikroTik OS on a virtual machine, download VMware Workstation to create a virtual machine and then follow my blog tutorial about how toinstall VMware Virtual Machine. If you interested to install MikroTik OS on a physical machine, download MikroTik OS ISO and burn the ISO in a blank CD or DVD or in a USB flash drive and then follow my below steps to install MikroTik OS ISP on your physical machine. The first thing you will do is to Boot your computer system or Server from your boot devices media such as CD or DVD ROM. If the operation is successful then MikroTik OS will be started to install and format the disk. If you use a large disk, it will take more time to format. So, be patient to wait. After formatting the disk, it will ask you for selecting packages that you want to be installed. To install all packages, press ‘a‘ or press ‘M’ for minimal installation and then press ‘i‘ for starting installation. It will request you will like to keep old configuration or not. Press ‘n‘, because it will be better to delete old configuration in your disk. It will now show a warning message. Press ‘y‘ for continue installation. All selected packages will be installed and then it will ask you to hit ‘Enter‘ key to reboot the system. Hit ‘Enter‘ key now. After rebooting, it will ask you to provide login credential just like your winbox. So you will be using MikroTik default username which ‘admin‘ and password is blank, hit the enter key. MikroTik CLI will appear now. It will also show a Software ID in the login screen. Write down this Software ID because it will be required when you want to purchase a license from MikroTik site. Your MikroTik PC Router is ready now. You can type MikroTik command in CLI to configure MikroTik Router or you can use Winbox software to configure MikroTik Router. You should follow the above steps carefully to install MikroTik OS on your PC. If you face any problem to do above steps, please leave a comment I will be glad to answer all of it.